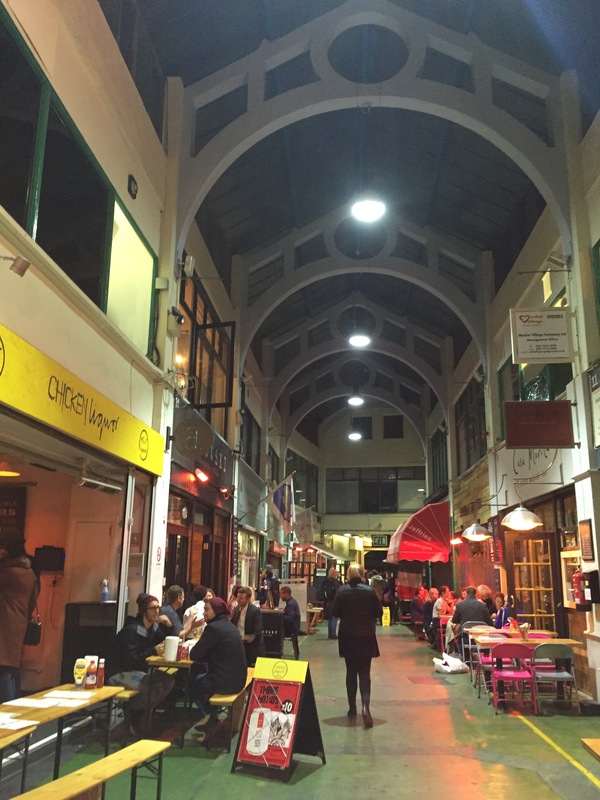 As an East London girl working in central I don’t spend much time South of the river unless it’s the Waterloo/London Bridge area so when I was invited down to try out Carioca in Brixton I was a bit worried about how long it would take to get there. Turned out there was a bus that took me pretty much door to door from my office and made me realise that actually South of the river isn’t as inaccessible as I thought. I’ve only been to Brixton once before for a truly terrible date that I had clearly wiped from my memory as it all came flooding back to me while I waiting for my friend Jen outside the tube station. *Disclaimer: Our meal at Carioca was complimentary in exchange for a review. The below opinions are still my own and not influenced by this in any way. Carioca is located in Market Row a really cool undercover walkway jam-packed with loads of interesting shops and eateries including some that I’m desperate to return and try. After being somewhat disappointed with the food I’d tried at Cabana I was really interested in seeing how authentic Brazilian cuisine would compare. 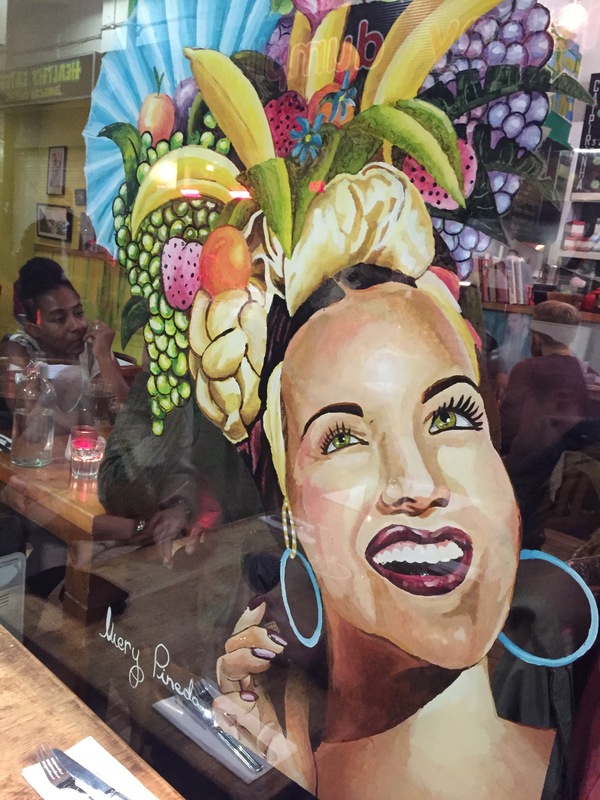 Of course Carioca hands down blew Cabana away with freshly prepared traditional dishes that combine the influences of Portugal, Africa and South America in one. 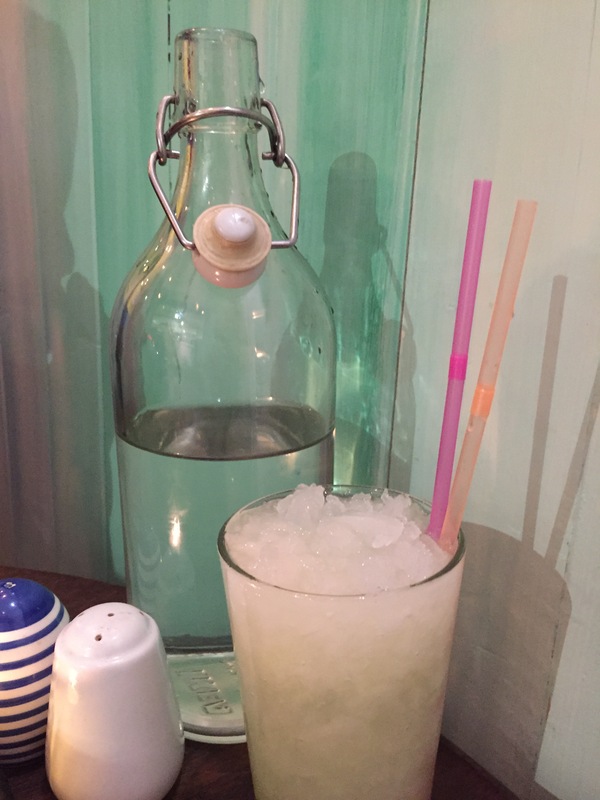 Even though we were almost half an hour early we were warmly welcomed and seated with a complimentary signature lime Caipirinha which I used to toast the magnificent Muscles – my friend’s pet dog who I occasionally looked after who had sadly had to be put down earlier that day. 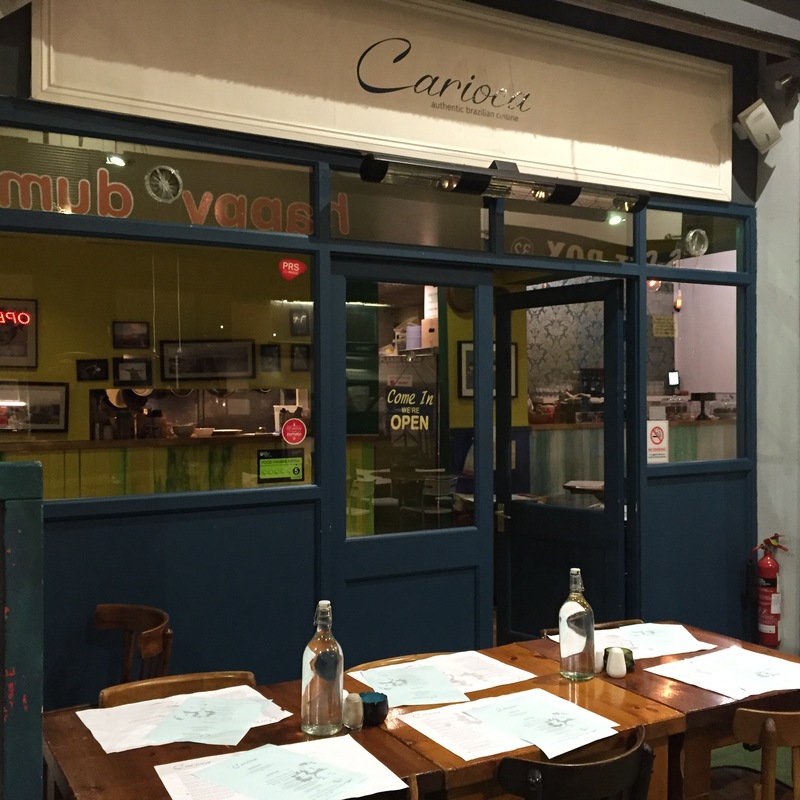 On Wednesday’s Carioca offer feasting options for those dining in groups of 2 or 4 which are super value for money but we decided to stick to the regular menu and just order a dish each and then swap half way through! To start though we couldn’t resist the lure of the calamari which came beautifully presented with a mildly spicy sauce which complimented the lightly fried squid. 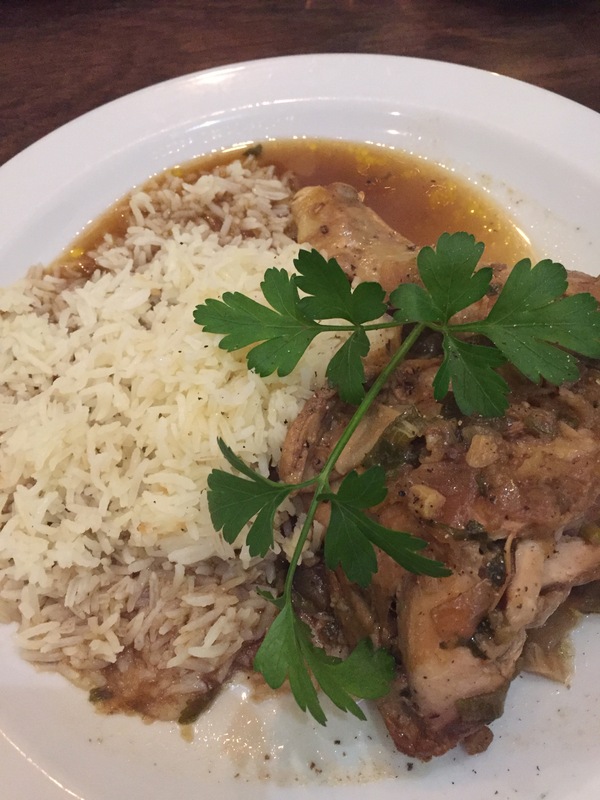 For mains we split the chicken caipira; a traditional braised chicken dish where the chicken is seasoned in shallot onion, fresh ginger, garlic, spices, spring onion and parsley before being slow cooked in a low heat served with rice. The meat came on the bone but literally fell away it was so tender and the rice soaked up the juices perfectly to make every bite delicious. 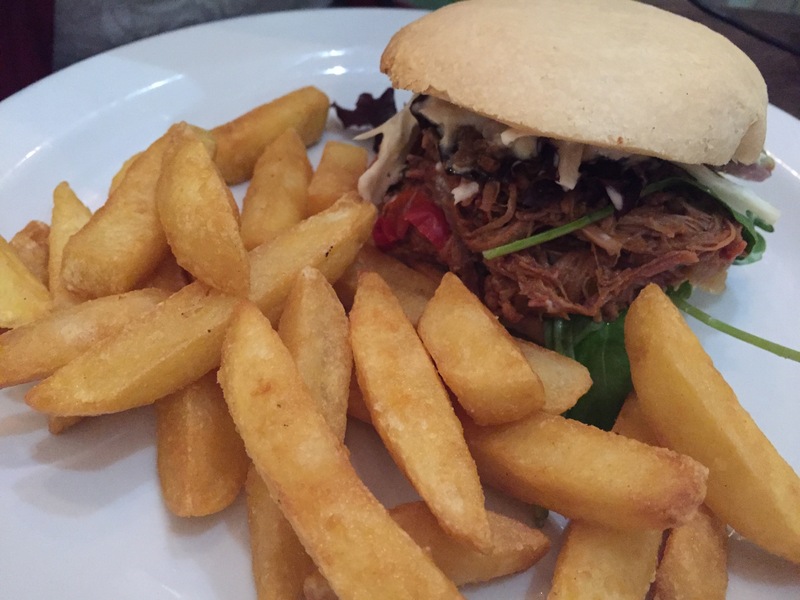 The second dish we shared was the pulled beef Brazilian burger on a cheese bun. Now I’ve had pulled pork before (in fact I have a recipe for this coming up on the blog next week) but never pulled beef. The chefs at Carioca use flank steak for this dish which the marinate and slow cook until it pulls away into long strips of tender beef which they then mix with peppers an onion for the filling. The meat was incredibly delicious and I definitely favoured this dish over the chicken but what really made this special was the cheese bun that it was served on. Believe it or not these buns are gluten-free making something like 90% of the menu at Carioca suitable for those that are gluten intolerant and I have to say I think that this bun was BETTER than some of its gluten including counterparts. Crunchy on the outside but soft and chewy on the inside the bun also didn’t fall apart when the meat juices had soaked it through. I tried to ask what the special recipe was but it’s a closely guarded secret so if you don’t want to take my word for it you’ll have to visit them and order this for yourself – I assure you, you won’t be disappointed. By this point we were pretty full and were quite happy to call it a night but we were surprised with a slice of pineapple cake and cream to split between us. I’m not sure if I’ve mentioned it here on the blog before but I don’t really get along with hot fruit. Apple pie, nope. Fruit crumble, no thank you. And don’t even get me started on Christmas pudding. But this, this was something different. 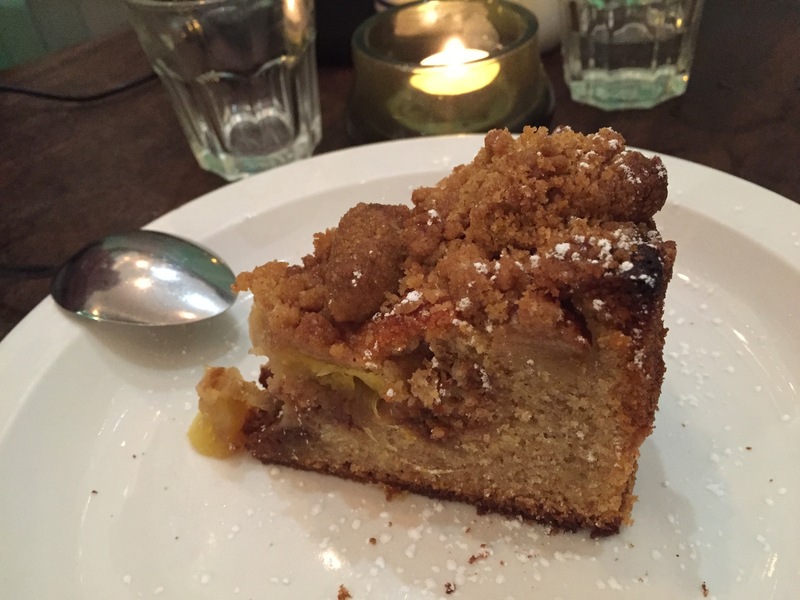 The fruit was in small enough chunks that it felt like part of the cake rather than a cake with fruit bits in it and I thoroughly enjoyed it. It was a pretty large slice though and even between the two of us we couldn’t manage to finish it. With belly’s full to bursting we headed home extremely contented with smiles on our faces. Huge thanks to Carioca for having us to visit.